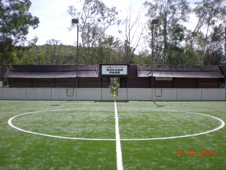 Registration is now open for North County Soccer Park’s Youth Competitive Arena Soccer League. Now that try-outs are completed, this is the perfect opportunity to prepare for this summer’s biggest tournaments. This year’s competitive arena soccer season will begin the weekend of April 5-7, 2019. Don’t let your competition get ahead of you in preparing for the most important tournaments yet to come! Keep your team(s) strong, prepared, and in shape by playing other San Diego County clubs between April-June. Playing games against other club teams is better than just scrimmaging. All San Diego County soccer clubs are welcome to participate! If coaches have a conflict then substitute coaches or parent coaches are often utilized. In the arena environment, the game is faster paced, allows for more touches on the ball, and plenty of scoring opportunities! 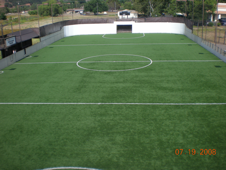 Weekly games with your team, new turf, and healthy competition gives players a first-rate place to play. $475.00 per team plus a refundable $80.00 forfeit deposit. NCSP works around all outdoor soccer commitments! For the past 18 years, the North County Soccer Park (NCSP) has been running Youth Competitive 6v6 Soccer Leagues under Dave Brennan’s direction. 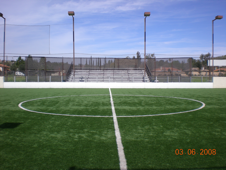 NCSP gets more competitive teams to play with us by far than the other arena facilities in San Diego County. More than Sportsplex, Folsom, La Mesa, Ecke YMCA, and Peninsula YMCA. NCSP hosts two seasons per year. One, in December after Presidio ends. The other in April after tryouts and State Cup are completed.